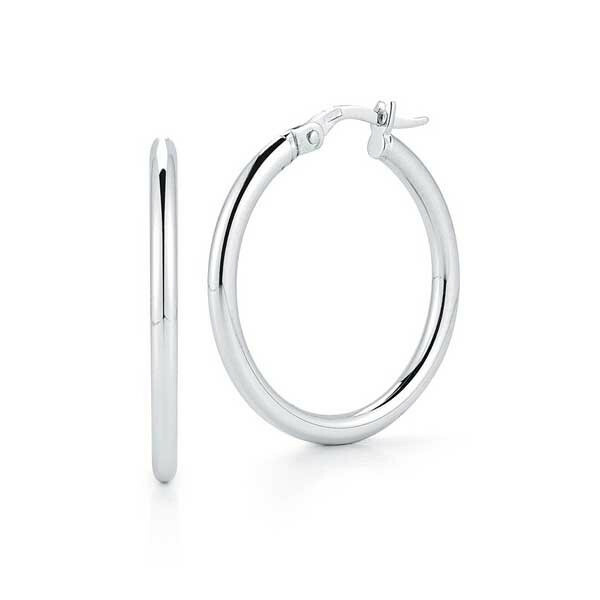 These earrings, part of The Perfect Hoops collection from Roberto Coin, are pure perfection! A beautiful basic measuring 25mm, they're crafted of 18kt white gold and look as good on the inside as they do on the outside! These Roberto Coin earrings are a classic gift that's great to give and to receive!